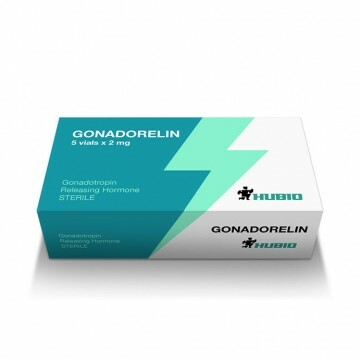 Gonadorelin is a peptide that increases the synthesis of luteinizing and follicle-stimulating hormone. The first is responsible for the production of testosterone, the second for spermatogenesis. 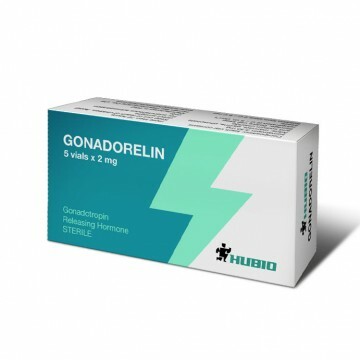 Thus, gonadorelin helps to optimize the production of male hormones synthesized in testicles. Gonadorelin is actively used by athletes in different sports, especially those that require strength, endurance and good musculature. improve of libido and erectile function. no side effects or the minimum number of them. 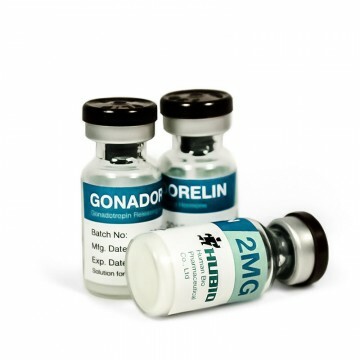 Gonadorelin course should not be more than four weeks, followed by a two-week break, then the course may be repeated if there is a need for this. The injections are made every day, 3-4 times a day. The peptide dosage is 1.2 mg per kilogram of body weight. The peptide is packaged in vials with powder and requires dissolving in saline or bacteriostatic water. During addition of water into the vial do not shake the vial, the powder should dissolve by itself. Injections should be made with insulin syringe of 100 divisions. 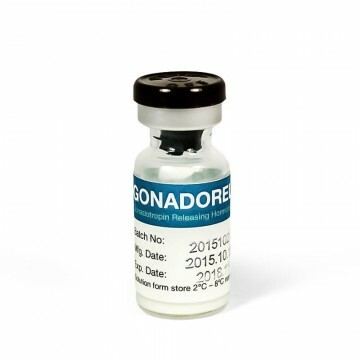 The high efficiency of Gonadorelin is confirmed by many professional athletes who have undergone the course of the peptide.